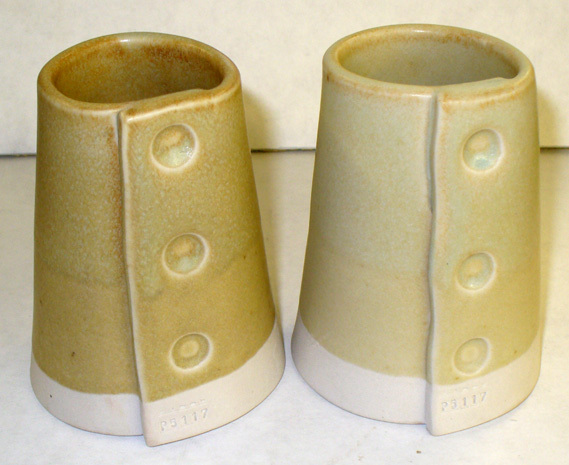 Usually describes a bamboo colored matte glaze (especially in reduction stoneware). These are normally achieved in a magnesia white matte by adding a small amount of iron (0.5-1%) and possibly some tin oxide opacifier. This is the G2571A base dolomite matte recipe. The specimen on the left adds 4% tin and 1% iron oxide. The one on the right has 4% tin oxide and 0.5% iron oxide. Refired to 1950F. The recipe is very flux heavy (high feldspar) dolomite:spodumene matte, zero silica, 4% tin oxide and less than 1% iron oxide. Sounds like crystallization territory. 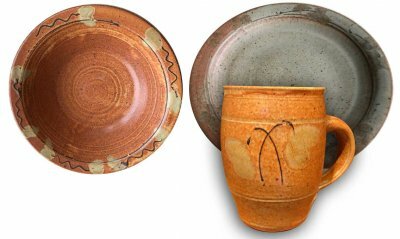 The plate on the left is the way it normally fired. On the right that way it started firing. The mug on the bottom has been refired at 1950F in oxidation and the color is back. The tin is likely a catalyst for the crystallization that occurred in the original result. Could be a fragile mechanism. Anyway, a period of oxidation at the end of the reduction firing should solve this.